One of the attractions of St Chad’s College is that all our accommodation facilities are unique, unlike other more modern conference centres. 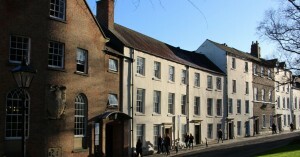 The College is made up of a row of Georgian-fronted town houses, in which each room has its own character and is tastefully decorated and furnished. We can provide twin and single-bedded accommodation, and the rooms are all en-suite or have private facilities. Tea and coffee-making facilities are standard, and we provide a television lounge solely for guests to use. Our facilities have been awarded a three star rating. 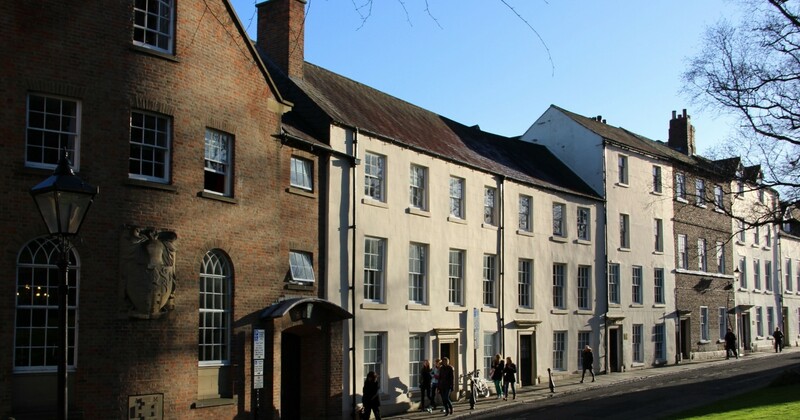 St Chad’s College is also able to provide accommodation and facilities for Summer Schools. Over recent years many Visiting Choirs to the Cathedral have chosen to stay at St Chad’s College. Our site offers dedicated practice facilities and space to enable choirs to relax and enjoy their time together. Our catering team are also able to produce high-quality meals within the short periods available between rehearsal times and Cathedral services. At St Chad’s College nothing is too much trouble – our dedicated Conference Team are on hand throughout your stay to assist with the smooth running of your visit. Please contact the Conference Manager Vicki Hinds for further details.